Hi everybody! 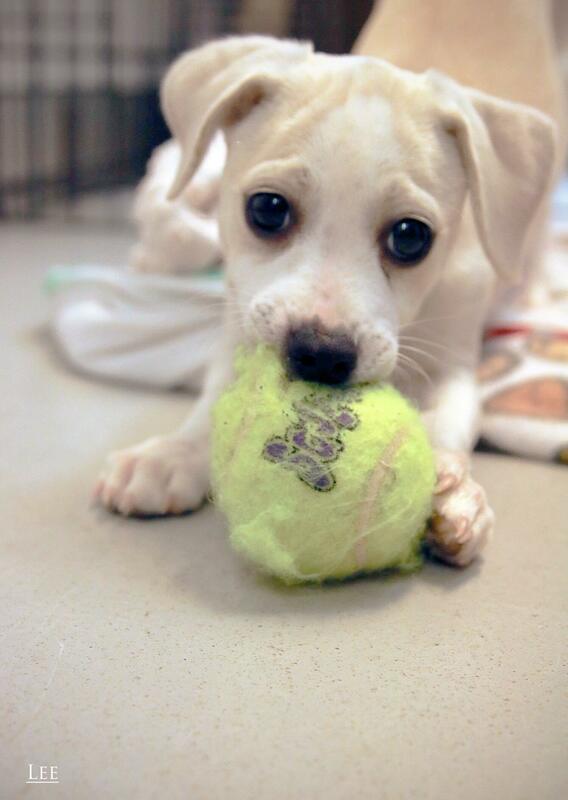 My name is Samuel Lee Jackson and I am an adorable 2 month old Jack Russell terrier mix weighing in at just 10lbs. Just like my name implies, I am a funny, smart, tough guy with lots of puppy energy! Being a terrier, I am a very fast learner and am ready to jump into some basic obedience right away. PUPPY CLASSES ARE MANDATORY FOR MY ADOPTION! As you can tell in my picture, I am already in love with playing fetch. Well, I may not bring the ball back right away just yet, but I catch on quick if you could teach me! I enjoy playing with just about everybody I meet including: confident pups and dog-savvy cats that can handle my puppy play energy and humans over the age of 10. I am an insanely adorable smart cookie who loves to play and who is as direct and hilarious as my actor counterpart. “Say no to adopting me, one more time…” Ha! You just can’t! Fill out an application today, so we can meet! I come to you neutered, vaccinated, and micro-chipped with an adoption fee of $400. Interested in fostering me while I await my forever home? Email info@pixieproject.org for more info!